Showcasing the very latest oil analysis and condition monitoring techniques at Windaba this month was WearCheck’s transformer maintenance division. Burgeoning growth in Southern Africa’s renewable energy sector is a result of the universal need to develop alternative power sources, and WearCheck is well positioned to provide predictive monitoring for the industry. 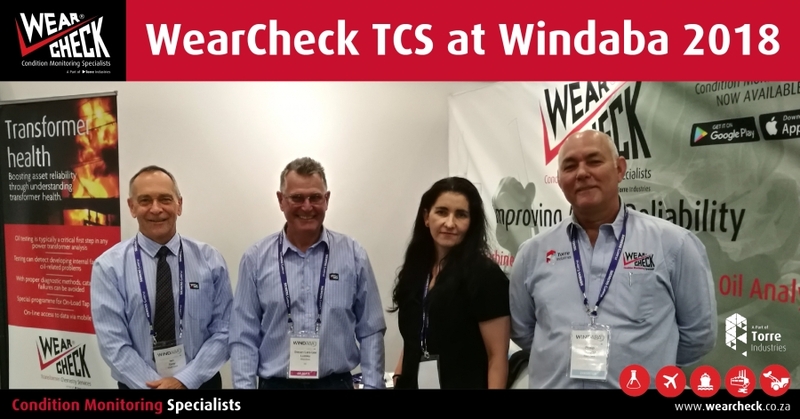 WearCheck technicians highlighted how power-generating equipment can be transitioned into optimum performance with minimum maintenance costs by investing in condition monitoring.